"Meisterlich, überaus einfühlsam und artistisch, dennoch mit Verve . " Das Interesse an multimedialen Projekten und die häufige Zusammenarbeit mit anderen Kunstformen wie Tanz, Literatur und Film charakterisieren seine Vielseitigkeit. 2009 leitete er die "Klangschicht", ein 2 1/2 Stunden dauerndes Multi-Media-Spektakel mit über 400 Mitwirkenden auf dem Gelände der Stadtwerke Bielefeld. Von 1985 bis 2003 war er Dozent für Schlagwerk und Arrangement innerhalb der Rhythmikabteilung an der Hochschule für Musik und Theater Hannover. Seit 2005 ist er Dozent für Musik an der Vrije Hogeschool (Bernard Lievegoed / College for Liberal Arts) in Zeist / Niederlande. 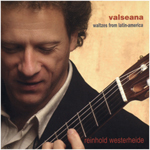 Reinhold Westerheide (1958) studied the guitar (with Antonio Pereira Arias) and percussion at the Royal Conservatory The Hague, graduating as a performer on both. More than that he took masterclasses with Abel Carlevaro, Alberto Ponce, Hubert Käppel and Leo Brouwer (guitar) and Leigh H. Stevens and Michiko Maekane (marimba). He has since been active on several musical fronts. 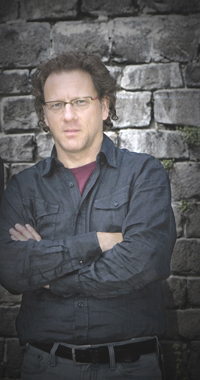 As a member of the Circle Percussion Ensemble he performed with the Nederlands Dance Theatre on tours in Europe, Indonesia and Japan, where he played with the Kodo percussion group. 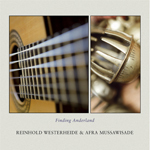 Prominent Dutch (Roderik de Man and Michel van der Aa) and foreign composers have dedicated works to Reinhold Westerheide, many of which he has recorded on CD. Apart from performing as a soloist, he specializes as a song accompanist and plays in several smaller ensembles. Westerheide is also a composer, writing for his own instrument and for orchestra, chamber music as well as music for films and the theatre. His great versatility enables him to collaborate in multimedia projects and in dance, literary and film production. Reinhold Westerheide lives and works in Utrecht, the Netherlands and Bielefeld, Germany. Since 2005 he is teaching music at the Vrije Hogeschool (Bernard Lievegoed / College for Liberal Arts) in Zeist / The Netherlands.